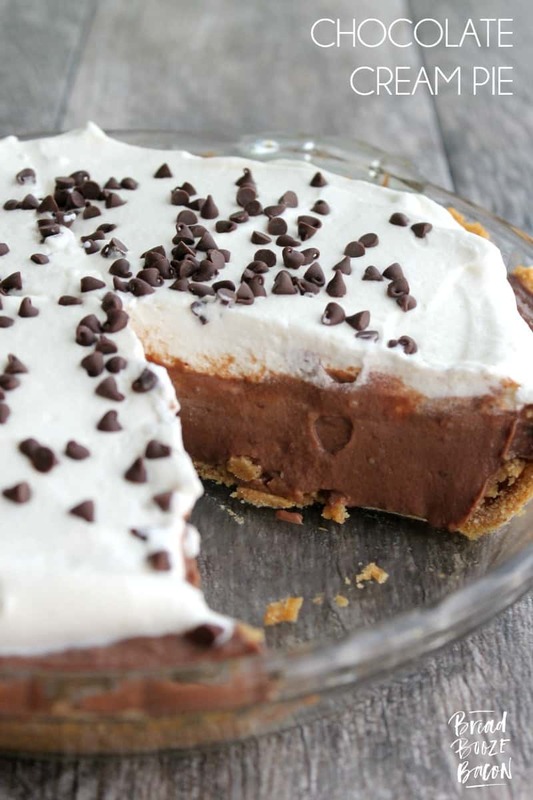 Classic Chocolate Cream Pie is a creamy, dreamy slice of happiness no one can resist! 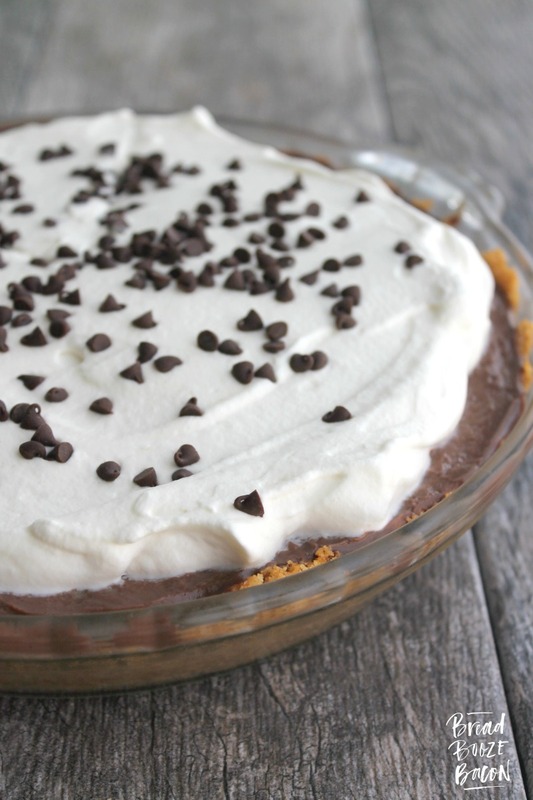 This dessert is perfect to make for your next holiday get together! I crush on pie. What’s not to love? I mean really. There are about a million and five different flavors you make. They can be sweet or savory. Hot or cold. And they’re made for sharing! Unless you’re my husband and it’s a pumpkin pie. You could loose a finger trying to share with him. 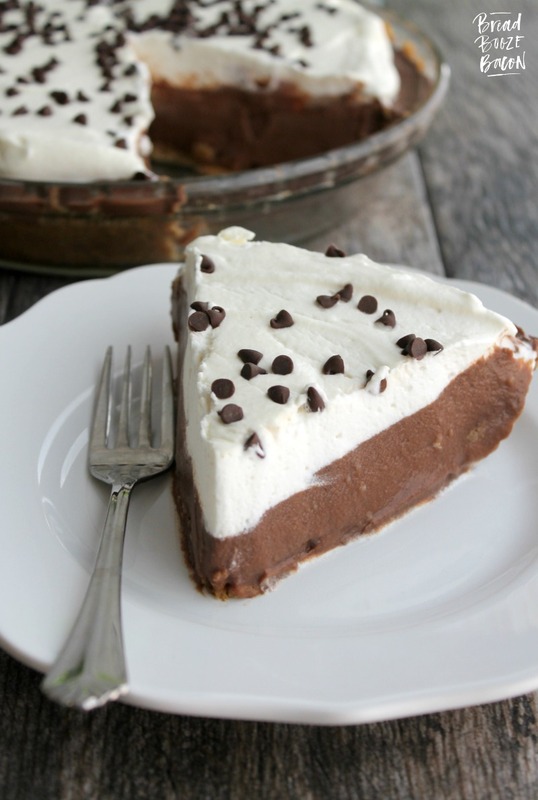 Today it’s all about one of my all-time favorite recipes, Chocolate Cream Pie. 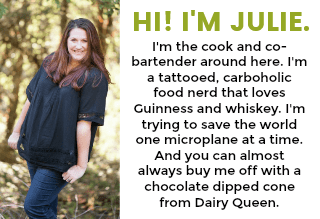 It’s creamy, rich, and oh so chocolaty! Two weeks ago I got to do the coolest thing ever and make dessert for my friends’ wedding! They decided to forgo cake and have a whole bunch of other goodies instead. Friends from New York brought home made cookies and biscotti, and I made two pans of lemon bars, 3 apple pies, and 3 chocolate cream pies. (I may have even sent the guys home with a sweet potato pie too.) It was a busy Friday and so so worth it. Everyone loved the desserts, especially the grooms, and let’s face it if they’re happy I happy. Between helping with the food and Mike & I playing DJ, I somehow managed to not grab a slice of pie. But I guess it’s not all bad. 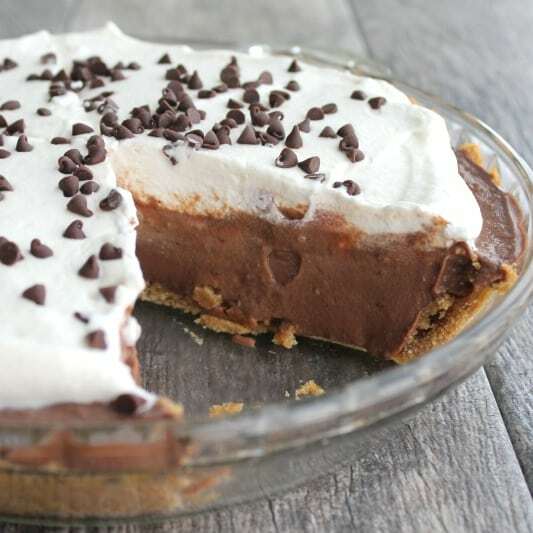 A couple days later I made one more chocolate cream pie and only had to share with Mike. So it was kind of a win in the end. A little note about crust combos: I made these pies with a graham cracker crust per the grooms’ request, but it would be just as good in a traditional pie crust! In a medium bowl, combine the sugar, salt, and cornstarch. In a medium saucepan, whisk together the milk, half-and-half, and egg yolks. Place the saucepan over medium to medium-high heat and whisk in the sugar mixture. Cook until the mixture bubbles and thickens, stirring often. Once the milk mixture feels pudding-like (after about 8 to 10 minutes), remove the pan from the heat. Add the butter and vanilla and whisk until the butter is melted. Add the chocolate chips and whisk until the chocolate and milk mixture are completely combined (no white showing). 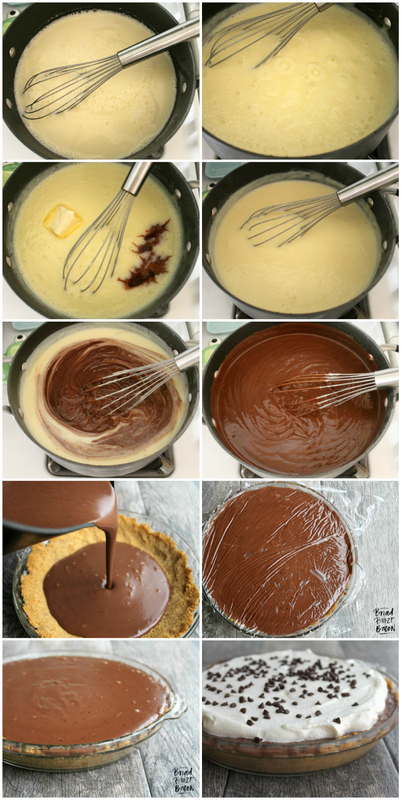 Pour the chocolate filling into the prepared pie crust. Place a piece of plastic wrap over the top of the pie, making sure it touches the surface of the filling. Refrigerate until the filling has cooled completely and is set. Add the heavy cream, powdered sugar, and vanilla to a large mixing bowl. Beat until soft peaks form. Spread the whipped cream over the top of the cooled pie. I like to put all the whipped cream in the center and spread it out towards the edges, and leave a 1/2-inch gap around the edge so you can see the filling. Sprinkle the whipped cream with mini chocolate chips. Refrigerate until ready to serve. If half-and-half is not available, you can substitute the same amount of milk.